This past Saturday, 10 June, I had to be at a meeting near Newburgh at 11 AM. Newburgh is a little over an hour north of New York City so I figured I could get a visit in to a few great locations for breeding birds that I hadn’t yet seen this year. One of those spots, Shawangunk Grasslands National Wildlife Refuge in Ulster County, was hosting a couple really cool birds for New York State so I was eagerly anticipating stopping in to see them. 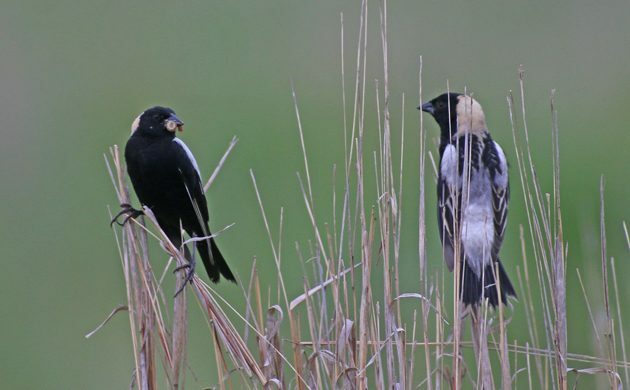 Bobolinks are among the best of the icterids. And that’s saying something! A song that sounds like R2-D2 on crystal meth just adds to the appeal. On the short drive in to the main refuge parking lot I had already spotted Purple Martins checking out the new nest box, an Eastern Bluebird, and a host of Bobolinks. Once I stepped out of the car the sightings piled up quickly: Grasshopper Sparrow, American Kestrel, Savannah Sparrow, Willow Flycatcher, Eastern Meadowlark. The sweet song of Eastern Meadowlarks is pleasant enough. Add their snazzy appearance and this is another of my favorite icterids. But there were even cooler birds to see! Well, cooler in terms of the lack of frequency that they turn up for New York birders in New York. A couple of weeks before my visit, a singing Dickcissel had been found out near a blind in the grasslands. 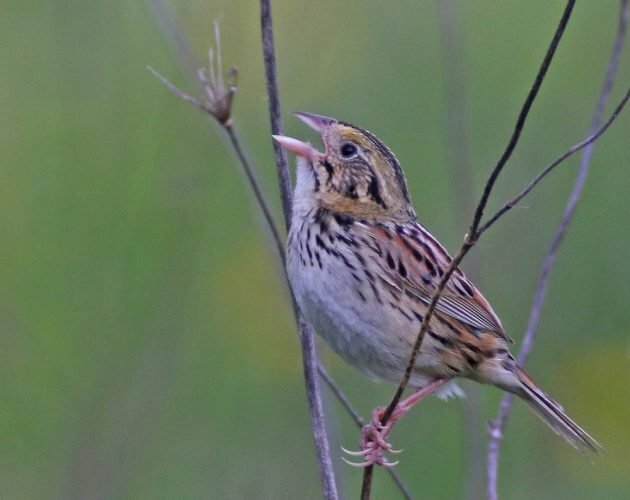 And then, only a few yards away, a Henslow’s Sparrow was found singing as well. 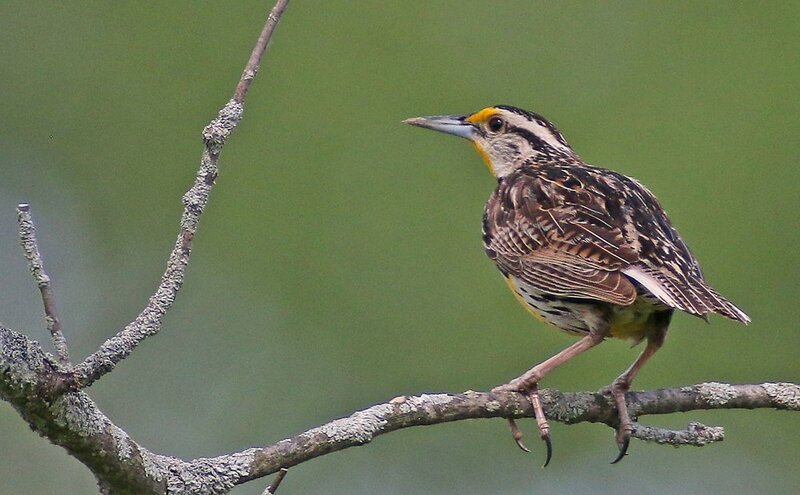 So far as I know Dickcissels haven’t ever bred at Shawangunk and its been nearly thirty years since Henslow’s Sparrows were found there. I had really wanted to get to the grasslands but life (and puffins) had forced me to wait. Would the birds still be there? Henslow’s Sparrows are awesome birds and I had never had looks like this before. I shouldn’t have worried. Both birds were present and easy to find, considering that they were singing loudly and continuously. The only downside to my time with them is that the sun disappeared behind the clouds as soon as I arrived in their territory and didn’t come back out until I had left them. But, despite the sun not cooperating, the birds certainly did! Though the Dickcissel is the star of this video I like that you can hear the “t-d-lisk” of the Henslow’s Sparrow (to say nothing of a Bobolink). It was also nice to meet Joshua Malbin and Jim Clinton, two birders that I had somehow never met in the field, and enjoy such a great pair of birds for New York. How astounding is it that we could watch one of these birds, turn around 180 degrees, and watch the other? It was a grassland extravaganza! 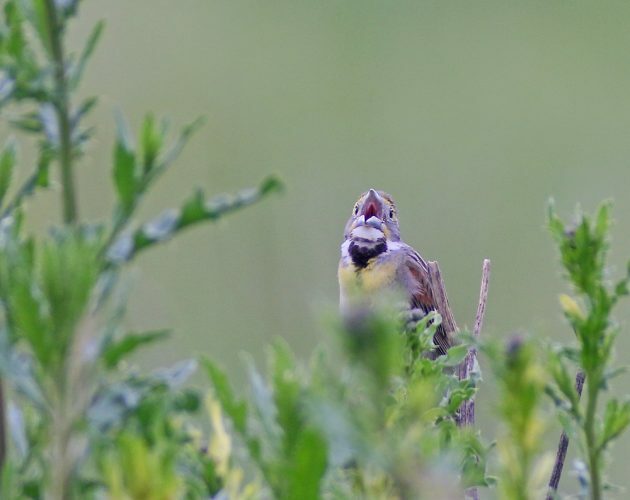 It’s hard to believe that Henslow’s Sparrows put so much effort into belting out such a weak song, though it carried a surprising distance over the grasslands. Here’s hoping both birds manage to find a mate. They certainly are putting the effort into attracting one! Joshua and I made the effort to find Upland Sandpipers in another part of the preserve as well but we had no luck which was a bit of bummer. But it was hard to be too upset after seeing these New York rarities so well and at the same time! I have to say that Shawangunk continues to amaze and it is entirely due to the excellent habitat which has been carefully curated over the decades, but particularly since they removed the runways from this long-defunct airport. 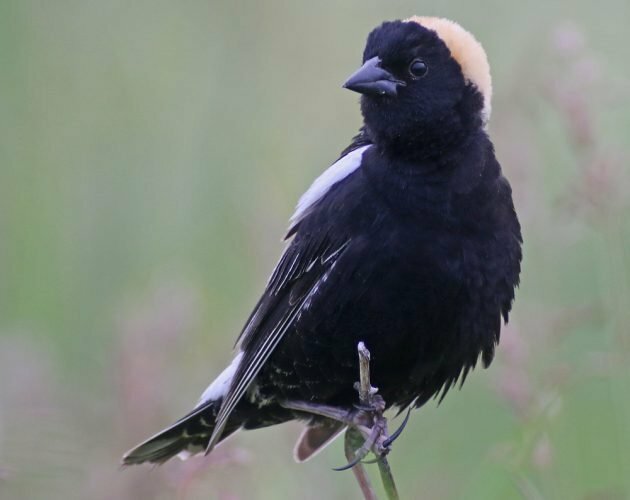 If you’re going to look for these birds you better do so very soon. They are going to stop mowing the path that leads to the blind to give these potential rare-for-New York breeders an uninterrupted shot at reproducing. Walking at the grasslands on Saturday on mowed trails led to me pulling three dog ticks off and I can’t imagine how many you would get if you were off trail. It would be horrifying!